I have been shouted upon by a stranger, almost duped into hiring a ridiculously expensive tuk-tuk and hit upon by women offering ‘massaze’. By now, I have all my guards up to slam anyone who even tries to approach me. Having gotten this heartwarming welcome in Bangkok, I plan to drive to Pai, a small village in the mountains of northern Thailand. The slopes are steep and my motorbike is panting for breath. The natural beauty around me is seductive, and slowly, I am beginning to leave my past from Bangkok to where it belongs – The Past. 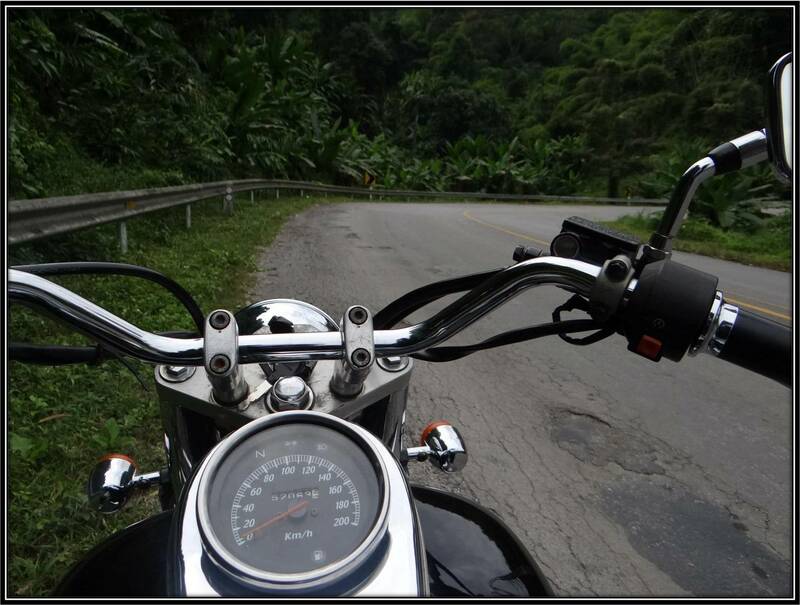 Tipy Tip: The roads of Mae Hong Son loop are not as scary as many people say they are. Rather, they are one of the finest mountain roads I have ever driven on. It is well past sunset, and I am miles away from Pai. Private vehicles have begun to fade away. Roads are now being trampled upon by huge trucks sending swirls of dust into the air as they roar by. I am on a motorbike, carrying enough money to entice miscreants, passport, and a camera and of course myself. My past has come back with all its might. I don’t know if I have already crossed Pai. My heart is skipping beats, my throat is dry and I can feel my feet going numb. 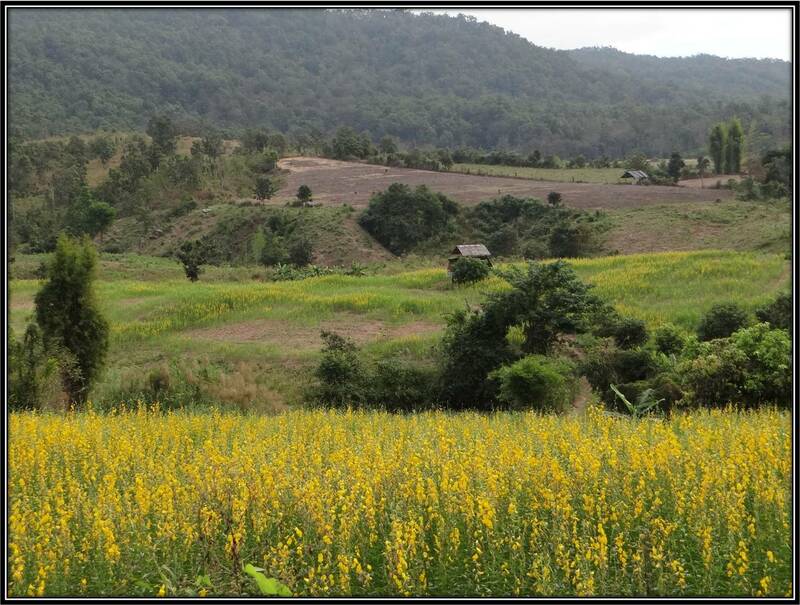 Tipy Tip: Hire the vehicle the previous night and start early from Chiang Mai (8 am). You don’t want to miss out on the landscape while trying to catch up with the distance. I see a bungalow with a light bulb glowing through its french windows. I know it is better to ring the bell of an unknown house rather than get lost in the mountains at night. A woman walks out with quick petite steps, questions written all over her face. With the most creative hand gestures, I try to tell her that I am from India and that I am lost. She breaks into a smile, and to my surprise pulls out a phone to call my hostel. I can’t believe when she tells me that someone is coming to pick me up. I have travelled a lot but still haven’t come across a host who is willing to come to pick up his lost guest. In the meantime, a boy comes out carrying a kettle of tea. I completely give in to their love. My fatigue has disappeared into the oblivion and I feel at home. A guy comes on his scooter and calls out in this cheerful voice, “Ola! Are you Gurav from India?” For the first time in my life, I didn’t mind if someone pronounced my name incorrectly. — This is my blog entry into the 2013 Travel writing scholarship by Worldnomads to Beijing, China. Do you have your experiences where you felt yourself to be – Living on the edge?